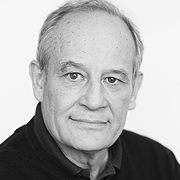 Olivier Tabatoni is a Berlin School faculty member teaching finance and valuation. Olivier Tabatoni is Professor of Finance and Strategy. His areas of interest include corporate and financial strategy. More generally, it focuses on the interactions between strategy, finance and leadership. He is Associate Fellow at the Oxford University Saïd Business School. He was Visiting Professor at the Kellogg School of Management, Northwestern University and the Haas Business School, Berkeley. He regularly teaches in various universities and business schools including Duke CE, HEC Paris, Ecole Polytechnique or the Berlin School of Creative Leadership. He is also very active in the far-east teaching in Hong Kong UST, ISB in India or Sasin Business School in Thailand. He won many awards for excellence in the classroom and received for many years the Kellogg-WHU Executive MBA Best Teacher Award. He is acclaimed for his ‘Finance for non-financial executives’ seminars. Professor Tabatoni is also involved in designing and teaching in many executive and senior executive programs with large international companies. He often uses business simulations which he has specifically designed for the manufacturing, service or luxury industries. He has been consulting and advising companies on financial strategies, value based management and change management. He is the author or co-author of many books and articles on various financial topics such as profitable growth, strategic flexibility and firms performance. His current research interests include value creation, real options and business model innovation. Olivier Tabatoni received his Ph.D. in Finance from New York University’s Stern School of Management. He is a fellow from the Ford Foundation a European Foundation scholar.